Home » Android » Have you ever tried any WhatsApp Mods on your Android Device? Whatsapp is undoubtedly the most used messaging app across the world. Almost every regular household uses Whatsapp to stay connected within themselves. But, what is really awkward is that, inspite of having so much potential, the official whatsapp line of upgrades comprises of limited features. Many enthusiastic developers have customised the official whatsapp application and added a lot of hidden features which are missing in the official version available on the Play Store. These hidden features are known as Whatsapp Mods. A point to note, that, today there are a lot of developers working in parallel to add up extra mods over the Whatsapp. So, there are more than one Whatsapp mods available on the internet at this moment. Don’t get confused. Have you ever tried any WhatsApp Mods app on your Android? If you haven’t, then you have no idea how awesome they are. Now, the question is, Which are the best WhatsApp MODs for Android? 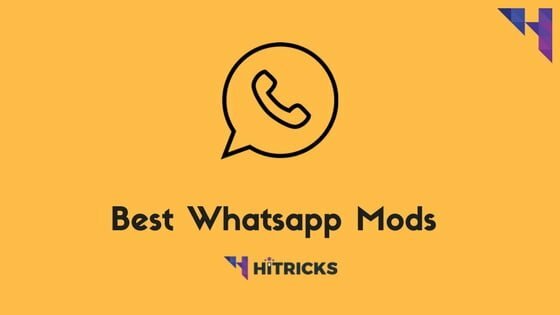 Well, in this post, we are going to mention some of the top WhatsApp MODs list. WhatsApp is one of the most popular chatting app which is loved by billions of its users. You can send any file through WhatsApp to any of your contact. It is very fast and simple messenger ever. People use this app in their daily life. 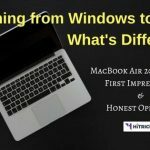 It is very helpful for everyone because of its awesome features like Groups, Conference Audio Call and free Video Calls. But Mod apps have lots of additional features which are not available in official app. WhatsApp Mods will allow you to access many cool features which you have never seen in official WhatsApp app. I am sure you will love these WhatsApp Mod Apps after using them on your smartphone. Some of the best features which you can access in WhatsApp Mods are, Hide Online Status, Hide Blue Ticks, Change Default Theme and much more. Yeah, You will love them after trying each of them in your phone. If you are also confused in searching best WhatsApp Mods for Android then no need to worry. In this article will tell you about top 3 WhatsApp Mod Apps with all of their features. You can use these Mods on any Android phone. And they can be used in non-rooted android phones also. Let’s check out these Whatsapp Mods list. GBWhatsApp is one of the best WhatsApp Mod ever. From hiding online status to blue ticks, it grew popular with its own set of unique mods which is truly amazing. In fact, compared to all available whatsapp mods, this is one of the most strongest ones out there. YOU MAY ALSO LIKE: How to use Dual Whatsapp using GB Whatsapp? It is another awesome WhatsApp Mod which is very similar to GBWhatsApp. In fact, this is one of the biggest competitors of GBWhatsapp. Let’s discuss some of the best features of WhatsApp+, which makes you fall in love with it. If you love customizations, then this is the best WhatsApp Mod for you. It primarily focuses on UI developments, designing instead of features. With YoWhatsApp, you can fine tune your own preferred Whatsapp look. It contains maximum features to design your WhatsApp according to your wish. It has an awesome default Emojis pack, Hangouts UI, 11 Icons and much more to help you out. Let’s discuss some of the features of YoWhatsapp. 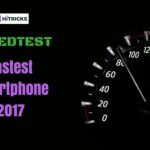 Thank You for reading my post on the Best Whatsapp Mods Apps. I hope now you don’t need to search any other customised chatting app. You can install and use any of these WhatsApp Mod Apk on any Android running on 4.0+ version. If still you are getting confused in choosing the best one from these three, and you are asking for my opinion, then I suggest you to go for GBWhatsApp because it has all the features combined in all other WhatsApp MODs. If you have any doubt or query regarding to WhatsApp MODs, feel free to ask in comment section below. Do share this post with your friends and let them feel these. Use the social share buttons below. That’s all for now. I will be back soon with another amazing update.